The Did Ya Notice? Project is dedicated to helping Type A’s Notice because To Notice is To Live! Us Type A parents are always on the go. Working, taking care of kids, running, hustling, and bustling from the time we get up until the time we go to bed. I don’t see our lifestyles going away anytime soon; but some days it may feel like we are just existing instead of living and one important factor we may be missing from our work/life balance is being able to NOTICE. Are you noticing everything around you? If not, why don’t you try? It can actually make you happier and appreciate your life on a much deeper level. By noticing, you are asking and making deeper connections to those around you, especially to your spouse and kids. We live in a world of technology and so many inventions have made our lives so much easier that we tend to take for granted the little things that make up our lives. To notice is to live! I feel lucky that Margery Leveen Sher, who wrote this wonderful new book about ‘noticing’ took some time out of her busy day to do a Q&A session for my readers. I’m making the ability to Notice part of my early New Year’s resolutions and I wanted (ok, NEEDED) some great tips on how to do that. Enjoy! Q1: I love your “Did You Notice” project and believe that being able to notice the world and inventions around you enrich your life. I am especially interested in the conversation starters that are important to use in order to make connections to those in your life. My first question deals with starting conversations with young children. Many times my oldest daughter (who is five) will give me short answers about how things are going in her day, so what are some tips I can use to get her to open up about her day at school and aftercare? It’s always hard to get kids to recap their school day! Five year-olds often only remember a couple of highlights anyway. But discussing everyone’s day is a great conversation-starter. Encourage her to remember with her senses. Ask questions about what she might have seen, heard, felt, smelled (lunch), or tasted (lunch or snack). Was it a hot day or a cold day? When she went outside to play, did she feel hot or cold? Was it raining? What did she see on the walls of her classroom? Did she hear any stories told by her classmates or the teacher? Who did she play with? If you know what the teacher is covering during the week, you can ask about those things. These questions may seem simple and obvious to the parent but they are great conversation-starters. Be sure to talk about your day too – tell her what you saw, heard, smelled, etc. A conversation is two-way of course, or many-way if you include everyone in the family. One last thing: everything she says may not be true. She may not remember so she will make things up. (An elephant visited my classroom.) That’s ok! The goal is a conversation. The best thing would be to get her to tell a whole long convoluted story! Check out the first Noticing in my book called “Miracles”, and the Conversation-Starters that go with that one. Becoming more aware with all our senses is a great exercise for everyone in the family. Q2: In what ways does your conversation starters help with even younger children, like my toddler, to help her open up about her thoughts? Yay for toddlers! Don’t ask them to remember, just talk about the here and now. And again, base it on the senses. What can they hear around the house? The heat or AC? The washing machine? How about outside? Birds? Crickets? Talk about what they can feel. The smooth refrigerator door? The bumpy carpet? What can you find that’s rough to the touch? What can they smell? Flowers? Food cooking? You get the idea! Q3: When dealing with parents and teachers you have just met, what is your secret conversation openers to help make deeper connections to new acquaintances? Q4: What activities can we do as a family to make deeper connections with them and those around us in a more meaningful way? Don’t spend extra money and extra time. Integrate family life activities into every day. There is no better activity than dinner as a family. Read one of the Noticings in my book every night and use the Conversation-Starters. You might start with the section Amazing Invention Noticings so you can talk about zippers and trashcans and things that the family members can Notice. You will laugh together and laughter is the best connection-maker of all. You can also set a weekly time to go for a family walk and see what you can Notice. 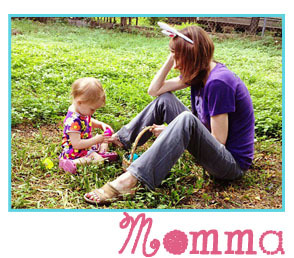 Have family members come up with new Noticing activities that you can all do together. Q5: Our family is very blessed and we do things like volunteer and read about other’s lives to learn how fortunate that we are in life. What other activities can we do as a family to raise children who appreciate the little things in life and to be more compassionate? That is wonderful! Teach children to appreciate the little things in life. Noticing the little things costs no money and is the most meaningful thing of all. Teach them to appreciate nature in all its forms. Notice patterns in nature – repeating patterns (broccoli, tree branches, lightning, etc), spirals (Sheep’s horn, inside a red cabbage), symmetry (stripes on a tiger’s face, humans! ), etc. In that way, they will understand that life offers much beauty and it doesn’t have to do with buying toys and special brands of clothes. When the children are a little older, read the Noticing “The Ginkgo Tree’s Lesson” and discuss the Conversation-Starter that is offered there about toughness, resilience, beauty, and giving back. Q6: What was your ‘ah-ha’ moment in starting the ‘Did You Notice’ campaign and did the changes you made in your life make an immediate impact on your work/life balance? I have always been a Noticer; I just didn’t have a word for it. I hustle/bustle through my days just like everyone else, but I always loved to Notice and to write about what I Noticed. I few years ago, I decided to just spend some time thinking about what I wanted to concentrate on next in my career, and then my ‘ah-ha’ came to me: I will start The Did Ya Notice ™ Project to spread the word about the benefits of Noticing! Now I post new Noticings on my blog www.DidYaNotice.com every week, so I am keeping my eyes and ears open to Noticings every day. This makes me very happy and gives me more energy for whatever I am doing. I realized that we are emphasizing the wrong sylaaaable when we talk about work-life. We emphasize balance (or sometimes integration is used), but really we should be emphasizing LIFE. When we Notice and value all life has to offer, our work-lives and our personal-lives will both be more fulfilling. Thank you so much for your time! 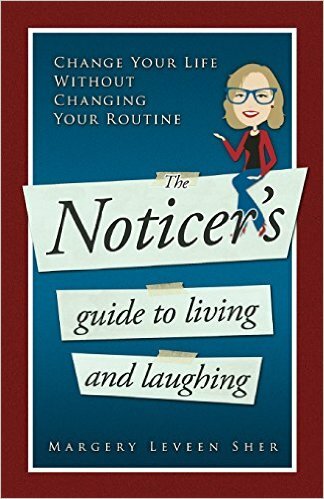 Check out the The Noticer’s Guide to Living and Laughing: Change Your Life Without Changing Your Routine for more great ‘noticing’ tips and go to the blog www.DidYaNotice.com to read Margery’s Noticings for the week.